Dental jobs require medical and technical knowledge, as well as good social skills and a friendly personality. If you enjoy working with people, helping them stay healthy, and you are interested in a career that is both technical and hands-on, there are a variety of dental jobs in Las Vegas that may be just what you are looking for. Whether you are considering a dental career for the first time, you have already completed a program and you are looking for a position, or you have previous experience and want to change offices or re-enter the field, here are a few ways to find dental jobs in Las Vegas. If you don’t have previous experience or instruction, you’ll want to start your search for dental jobs in Las Vegas with vocational programs. Many of these programs give students access to internships or externships, or connections with local dental offices or specialists to find a job after graduation. If you don’t have experience with dental jobs yet, but you think a position as a dentist, hygienist, lab technician, assistant or another dental job is right for you, now is a good time to start. You will need some training before you can start a dental job, and the training required will depend on the job. 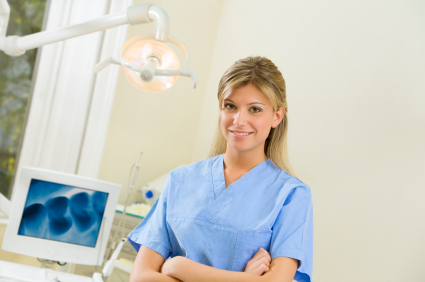 With a vocational school or work program, you can be trained as a dental assistant or hygienist. To become a dentist, orthodontist, or other specialist, you will need a Doctorate of Dental Medicine (DMD) or Doctorate of Dental Surgery (DDS) from an accredited dental school. If you have recently graduated from a dental program and received a certificate, you’re ready to find a dental job. Most vocational programs network with local dentist offices, and some offer externships with dental offices to get you started. This will not only give you invaluable work experience, but you’ll also be able to network with professionals and ask them about opportunities, not only in their offices, but throughout your area. Once you have completed your dental school program, whether you are a dentist, dental assistant, hygienist, or something else, you should polish your resume. Update your education and experience, and include your previous instructors/supervisors as references. Print out a few paper copies, and add your revised resume to LinkedIn, or another employment website. Prospective employers will most likely search for you, so make sure your online presence is a suitable reflection of you. If you have previous work experience in dentistry, you may be looking for a new job after a relocation, leave from work, or you may be looking for advancement. Whatever your situation, your previous experience will give you an advantage as you look for dental jobs in Las Vegas. Update your resume, both on paper and online, and reconnect with previous professional contacts, including coworkers, supervisors, or teachers. If you have been out of the workforce for an extended period, consider additional education or training, both to refresh your knowledge and to make new connections. The need for dental services and the dental field itself is growing. The Bureau of Labor Statistics forecasts the need for dental professionals to grow “much faster than average,” from 15 to 20%, depending on the specific career. 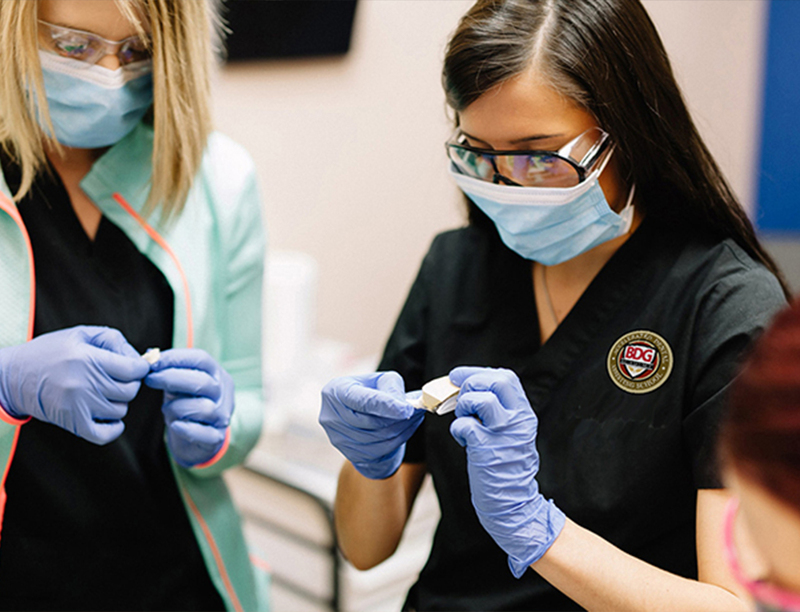 Since many of these professions, such as a dental hygienist or assistant, do not require a bachelor’s degree, they are attractive options for people who want to speed up their career development and gain specific, desirable skills faster.